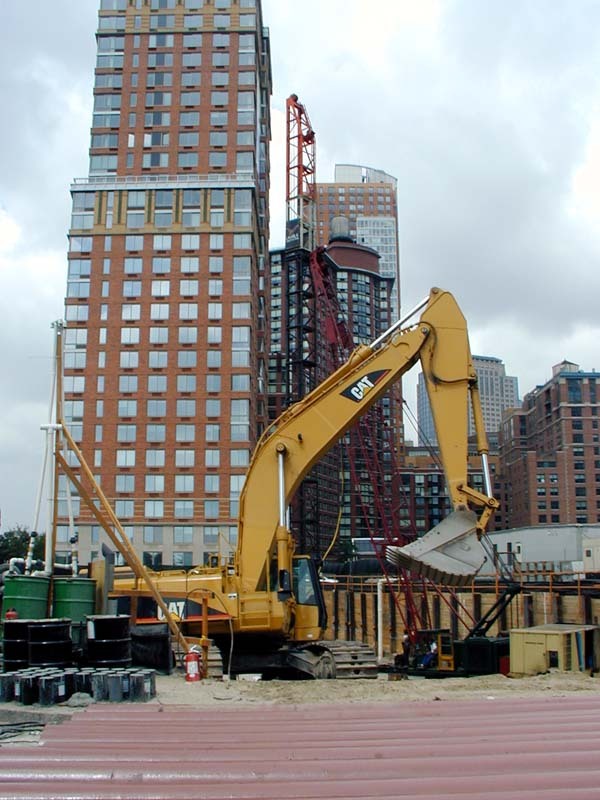 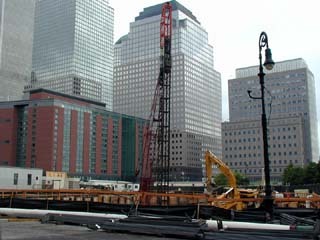 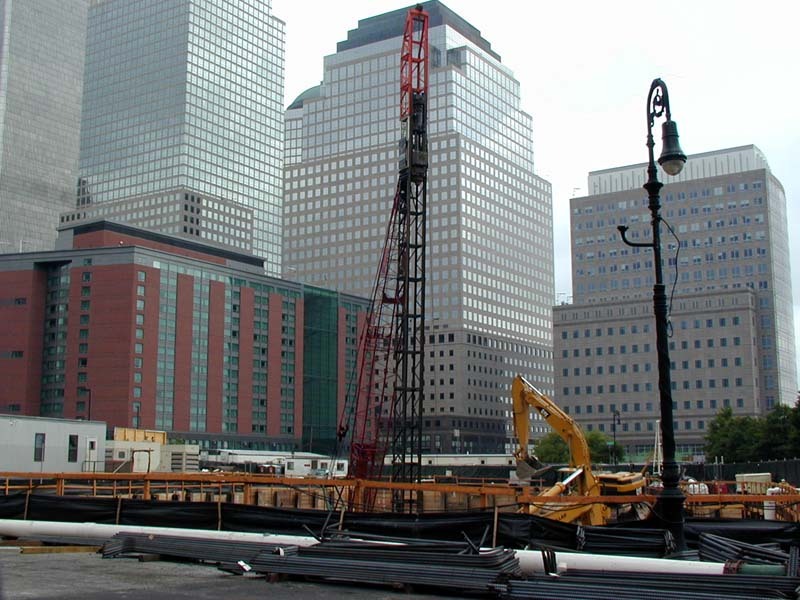 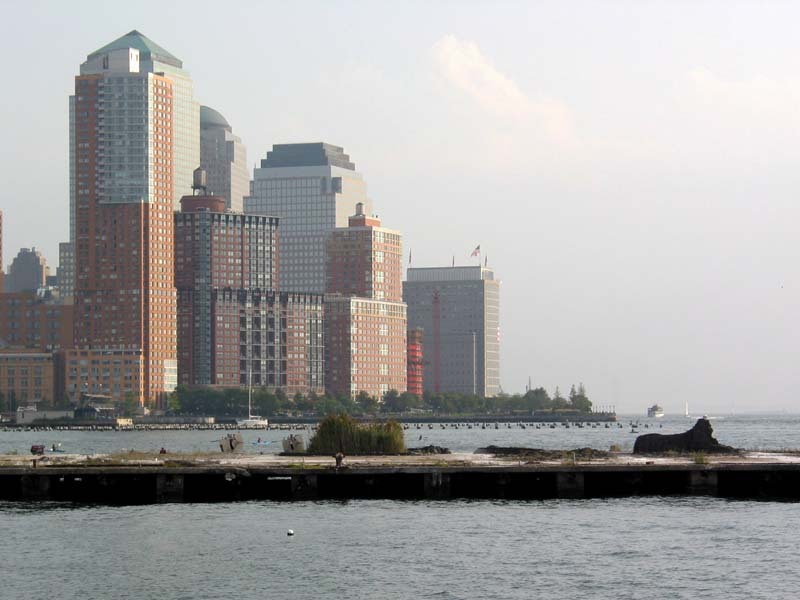 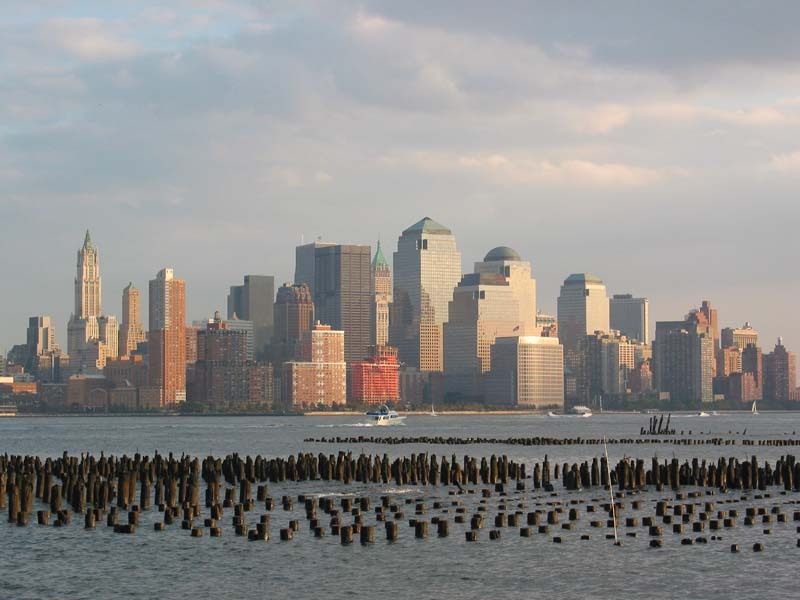 Construction of 20 River Terrace with the green crown of 40 Wall above and World Financial Center on 27 October 2002. 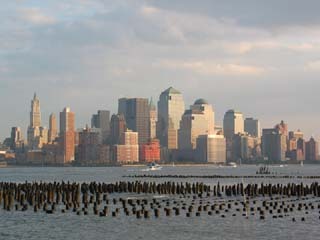 Green crown of Woolworth Building on the left. Battery Park City and 20 River Terrace under construction. 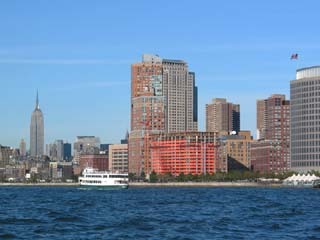 on the left - Empire State Building and mini-me, 500 Fifth Avenue. 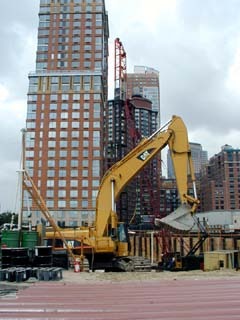 20 River Terrace in June of 2001.